I read this article and found it very interesting, thought it might be something for you. The article is called Check out the record of 17-year incumbent Maria Cantwell and is located at https://votesocialism.com/check-out-the-record-of-17-year-incumbent-maria-cantwell/. Washington state Senator Maria Cantwell, who calls herself a “pro-business Democrat,” is no friend of workers. During her tenure in Congress she has voted to send working people to war and to condemn them to an economic “race to the bottom” with free trade agreements. She has supported neither public education faced with the threat of privatization nor universal healthcare. 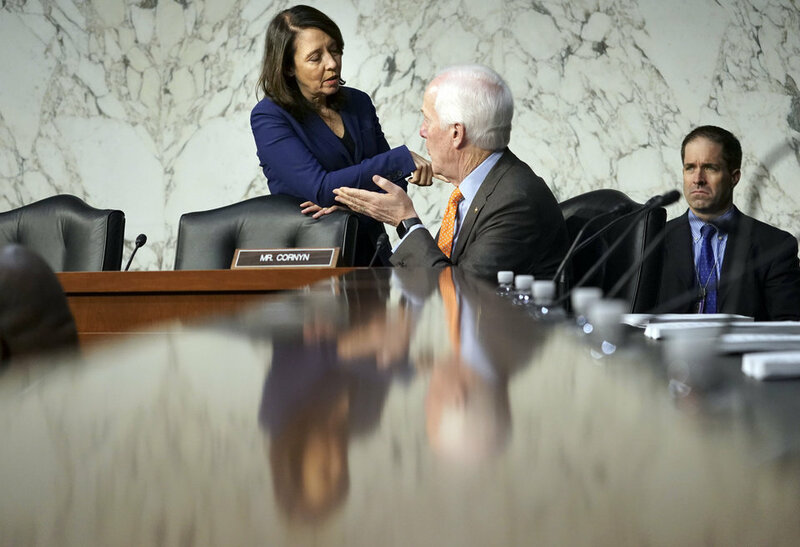 Cantwell doesn’t accept money from PACs, but she has no shortage of high-flying donors associated with venture capital firms and titans like Microsoft, Boeing, and Amazon. Yes to cops and corporations. After voting in 2002 to invade Iraq, Cantwell continues to help pass budgets with huge increases in funds for the military and Homeland Security. In 2009, when the Pentagon said they didn’t want more F-22 fighter planes, she voted to build them anyway, at a cost of $1.75 billion for seven aircraft. Boeing is a major subcontractor for the F-22. While in the House, Cantwell voted yes for Clinton’s 1994 Crime Bill which included expanding the death penalty, enacting the mandatory three strikes law, and funding more cops for anti-terrorism, intelligence-gathering, and “community” policing. Points for consistency: she voted yes to reauthorize the Patriot Act in 2006, keep Guantánamo Bay prison open, and extend FISA to allow increased wiretapping, which gives government an excuse to spy on activists, label them as terrorists, and jail them. After hearing thousands of her district’s voters protest the hyper-corporate North American Free Trade Agreement at town halls in 1992, one-term Congresswoman Cantwell voted in favor of the pact. As senator, she voted for its Central American twin, CAFTA. She also placed profits above workers’ needs and rights with approval for fast-tracking the Trans-Pacific Partnership. Cantwell’s vote for Sonny Perdue for Secretary of Agriculture is asking the fox to guard the hen house. Perdue, the head of a huge chicken processing company with unsafe working conditions and inhumane animal treatment, is not the person who should be overseeing safe and sane production of food. No to people’s needs. Along with her Democratic colleague Senator Patty Murray, Cantwell opposes Medicare for all. Under Obama, she helped defeat including a public option as an alternative to private insurance within the Affordable Care Act. Now, under Trump, she even refuses to support a bill that would allow U.S. residents to buy cheaper medicines from Canada. In 2001, the senator voted for George W. Bush’s misnamed “No Child Left Behind” act, which, among other things, shifted funding for tutoring in poor school districts to developing educational assessment tests instead. She is avidly pro-charter schools. The national focus on standardized testing and the charter school movement are both undermining public education. On balance, not a senator for workers. Cantwell’s stands on things like healthcare and education hurt the poor and people with modest incomes the most: folks who are mainly women and children, people of color including Native Americans, and immigrants. Thus, the harmful positions she takes completely undercut her positive votes, for example against banning so-called “partial-birth” abortions. It’s the same story when it comes to other issues. On the environment, for example, she has opposed drilling in the Alaskan National Wildlife Refuge and drilling off the Washington coast. But her Energy Modernization Act of 2017, coauthored with Republican Senator Lisa Murkowski of Alaska, would expand fracking and natural gas production on public lands and in coastal waters. The bill doesn’t even mention renewable solar or wind energy. And what Cantwell hasn’t done is just as telling as what she has done. Where’s the introduction of a bill for student loan forgiveness, or one for immigration reform that ends the raids and provides legal status for all? Washington needs a senator who will fight single-mindedly to help workers, family farmers and small-business folks, students, immigrants, and poor and homeless people survive and flourish. Maria Cantwell is not that person.